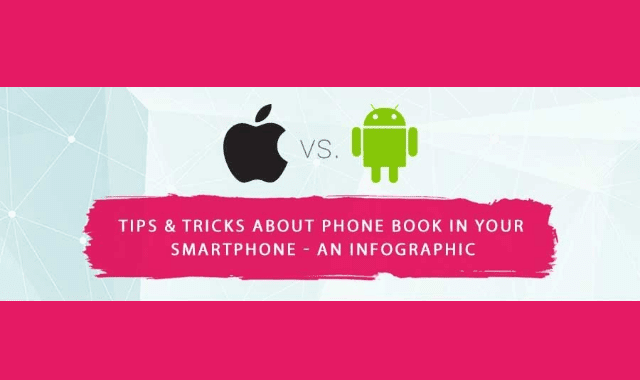 Tips & Tricks About Phone Book In Your Smartphone #Infographic ~ Visualistan '+g+"
Do you find sharing your contacts details fussy, taking out your visiting card and handing them to your client? What if they aren’t able to hold on to it, if they drop or misplace your visiting card, then your contact details are tough to hunt down? What if you aren’t handy with visiting cards? Isn’t it time consuming to share your details with friends, colleague or mate that you met recently? So many issues and one quick solution - EasyConnect - Contacts Card. Easy Connect has got your back with fashionista application that enables you to exchange phone number that too with a mere simplicity. It sounds cool and more fascinating when you do it, taking your phone out and getting your QR code scanned and Kudos – yours contact would be saved directly into the another person’s device.